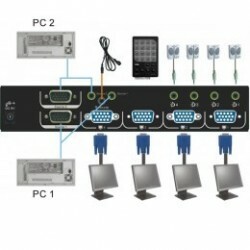 Routes 8 different VGA signals and audio sources to 8 different VGA monitors and speakers. 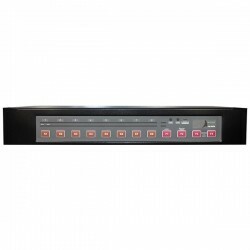 Supports to turn ON/OFF the video and audio of each individual output port. 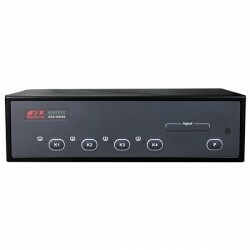 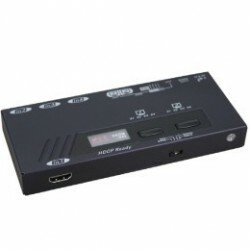 Each output provides one video signal and one audio signal. 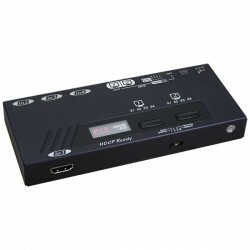 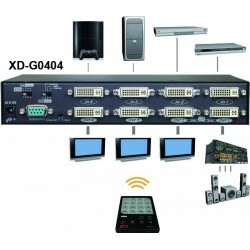 Compatible with most of the popular screen resolution to XGA, SXGA, UXGA, WSXGA ….Full HD, WUXGA system.